“In the mottled light behind the trunk of a pine tree, four poofs with eyes huddle together. And they’re watching. Those poofs are in fact baby great horned owls, and for the last few weeks, they’ve been watching — and being watched by — a growing number of birders, gardeners, joggers and the occasional lucky tourist. The nest is high in a pine tree on Strawberry Hill, the waterfall-laden lump of an island in the middle of Stow Lake . . . The nest is one of two that are common knowledge among Golden Gate Park birdwatchers; the second is near the buffalo paddocks. Golden Gate Audubon Society member Dan Murphy, who leads San Francisco’s annual Christmas bird count, said it’s possible there are a handful of other great horned owls in the park that haven’t been spotted by birders. However, the species is territorial enough that there’s not room for many in the park. 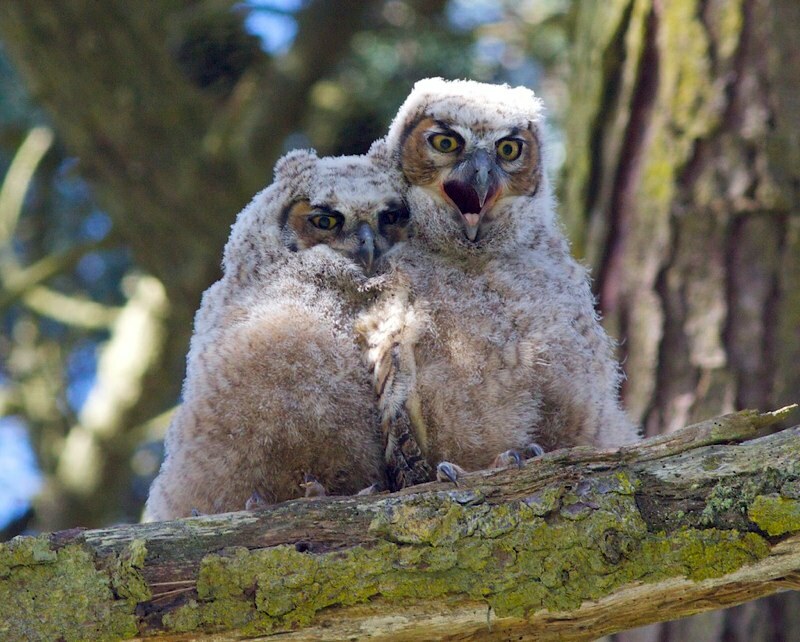 Read more via Great horned owl chicks a hit with birdwatchers | Katie Worth | Local | San Francisco Examiner. This entry was posted in urban ecology, wildlife and tagged golden gate park, nature photography, urban wildlife, wildlife photography. Bookmark the permalink.